William Schneider Jr. is an economist and defense industry consultant who has been part of the militarist advocacy community since the late 1960s. He is the president of International Planning Services, Inc., an international trade and finance advisory firm, as well as a fellow at the neoconservative Hudson Institute and adviser to the Center for Security Policy. A longtime proponent of controversial weapons and missile defense programs, Schneider has served on numerous government advisory panels over the years and chaired the Defense Science Board from 2001-2009. He has also been closely associated with various hawkish advocacy campaigns, including the Project for the New American Century (PNAC). Schneider signed several PNAC letters in the early 2000s, including the September 20, 2001 letter that urged President Bush to attack Iraq as part of the war on terror, "even if evidence does not link Iraq directly to the [9/11] attack." Schneider has served on the boards of various defense contractors, including BAE Systems, Inc., an American subsidiary of the British defense contractor BAE Systems Plc. that is chaired by former Homeland Security Secretary Michael Chertoff. BAE has been involved in developing drone technology and was investigated in 2007 by British and U.S. authorities for unethical business practices, including bribing Saudi officials. Schneider’s policy work dates back to the 1960s when he joined the Hudson Institute as a staffer working on "strategic forces, Soviet affairs, theater nuclear force operations, and arms control.” During the 1970s, Schneider worked on Capitol Hill as a staff member for the Senate and later the House of Representatives, where he assisted the chairman of the Appropriations Committee. 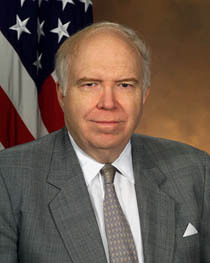 In 1982, after a brief stint in the Reagan White House’s Office of Management and Budget, he moved to the State Department, where he served as undersecretary for security assistance, science, and technology until 1986. Schneider has served on several presidential commissions and government advisory bodies dealing with counterterrorism, intelligence, defense, and economic policy, including the President's General Advisory Committee on Arms Control and Disarmament, where he was chairman from 1987-1993. He has contributed to numerous government reports urging development of the U.S. nuclear arsenal and investments in elaborate "missile defense" systems. In 1998, for example, Schneider helped produce the final report of the so-called Rumsfeld Missile Commission, a controversial congressional commission that made the highly disputed claim that "rogue nations" would be capable of attacking the United States with ballistic missiles within a few short years. Other members of the commission, which was chaired by Donald Rumsfeld, included Stephen Cambone, James Woolsey, and Paul Wolfowitz. In 2002, Schneider told the Washington Post that he had been encouraged by Rumsfeld to look into the use of nuclear-tipped interceptors in a missile defense system. The idea of using nuclear weapons to destroy incoming ballistic missiles had previously been deemed "technically problematic and politically unacceptable." Schneider also participated in a study group that produced the report "Rationale and Requirements for Nuclear Forces and Arms Control," published by the hawkish National Institute for Public Policy (NIPP) in 2001. According to the World Policy Institute, the NIPP study served as a blueprint for George W. Bush's 2002 Nuclear Posture Review, which called for an aggressive U.S. nuclear posture and the development of new nuclear weapons—a proposal that was condemned by the Union of Concerned Scientists as "a dangerous and destabilizing road map for U.S. nuclear forces." Among the study participants were several Bush administration officials, including Cambone, Stephen Hadley, Robert Joseph, and NIPP director Keith Payne. In 2004, Schneider published an article in Issues in Science and Technology in which he endorsed the Nuclear Posture Review. Arguing that non-proliferation strategies like "international norms, exhortation, and economic sanctions" had failed, Schneider advocated "developing a military capability that holds a proliferator's entire WMD posture at risk rather than relying solely on the ability to deter the threat or use of WMD after they have been developed, produced, and deployed." Critics of missile defense programs typically argue that such systems can spur an arms race as countries seek to ensure the effectiveness of their nuclear deterrents, but Schneider—who has worked with contractors involved in missile defense programs—claimed that the opposite was true. "Proliferation of WMD," he concluded, "was stimulated as an unintended consequence of a U.S. failure to invest in technologies such as ballistic missile defense that could have dissuaded nations from investing in such weapons." During his tenure at the Defense Science Board, Schneider oversaw a number of other controversial proposals, including a large-scale expansion of covert counterterrorism operations by the Defense Department in the wake of 9/11. According to the Inter Press Service, the proposal urged "the Pentagon to 'take the terrorist threat as seriously as it takes the likelihood and consequences of major theater war,' urging officials to launch secret missions and intelligence operations to penetrate and disrupt terrorist cells abroad. Some of those operations should be aimed at signaling to countries that harbor terrorists that 'their sovereignty will be at risk.'" Among some of the DSB study's concrete proposals, according to Inter Press, was "the creation of a super-Intelligence Support Activity, an organization it dubs the Proactive, Preemptive Operations Group (P2OG), to bring together CIA and military covert action, information warfare, intelligence, and cover and deception. … To bolster government capabilities, the task force [advanced] the idea of an intelligence 'surge/unsurge' capability—a 'robust, global cadre of retirees, reservists, and others who are trained and qualified to serve on short notice, including expatriates.' This group could be pressed into service during times of crisis. P2OG would launch secret operations aimed at 'stimulating reactions' among terrorists and states possessing weapons of mass destruction, meaning it would prod terrorist cells into action, thus exposing them to 'quick-response' attacks by U.S. forces." Hudson Institute, William Schneider bio, https://www.hudson.org/learn/index.cfm?fuseaction=staff_bio&eid=SchneiderW. Center for Security Policy, Advisory Council, http://www.centerforsecuritypolicy.org/about-us/advisory-council/. Project for the New American Century, “Letter to President Bush on the War on Terrorism,” September 20, 2001, http://web.archive.org/web/20070807153905/www.newamericancentury.org/Bushletter.htm. BAE Systems, “William Schneider, Jr.,” BAE Systems website,, http://www.baesystems.com/contact/BAES_025992/Dr.-William-Schneider,-Jr.?_afrLoop=413540754055000&_afrWindowMode=0&_afrWindowId=null&baeSessionId=Thy3Sl7N6NcCBM5wskb05CWJVzD7NhXc8QnBWxd9n66st8G8sYPp!-2011724153#%40%3F_afrWindowId%3Dnull%26baeSessionId%3DThy3Sl7N6NcCBM5wskb05CWJVzD7NhXc8QnBWxd9n66st8G8sYPp%2521-2011724153%26_afrLoop%3D413540754055000%26_afrWindowMode%3D0%26_adf.ctrl-state%3Ds0w6qfu14_4. British Broadcasting Corporation, “Timeline: BAE Corruption Probe,” http://news.bbc.co.uk/2/hi/business/6182137.stm. Commission on the Future of the U.S. Aerospace Industry, William Schneider bio, http://web.archive.org/web/20040203023853/http://www.aerospacecommission.gov/commissioners/schneider.shtml. Lisbeth Gronlund and David Wright, "The Rumsfeld Report: What They Didn't Do," Bulletin of the Atomic Scientists, vol. 54, no. 6, November/December 1998. Bradley Graham, "Nuclear-Tipped Interceptors Studied," Washington Post, April 11, 2002, http://www.commondreams.org/headlines02/0411-01.htm. William Hartung and Jonathan Reingold, "About Face: The Role of the Arms Lobby in the Bush Administration's Radical Reversal of Two Decades of U.S. Nuclear Policy," World Policy Institute, May 2002, http://www.worldpolicy.newschool.edu/wpi/projects/arms/reports/reportaboutface.html. Union of Concerned Scientists, "UCS Review of the 2002 Nuclear Posture Review," http://www.ucsusa.org/nuclear_weapons_and_global_security/solutions/us-nuclear-weapons/nuclear-posture-review.html. National Institute for Public Policy, "Rationale and Requirements for U.S. Nuclear Forces, Volume 1," January 2001, http://www.nipp.org/National%20Institute%20Press/Archives/Publication%20Archive%20PDF/volume%201%20complete.pdf. William Schneider Jr., "A 21st-Century Role for Nuclear Weapons," Issues in Science and Technology, Spring 2004, http://www.issues.org/20.3/schneider.html. 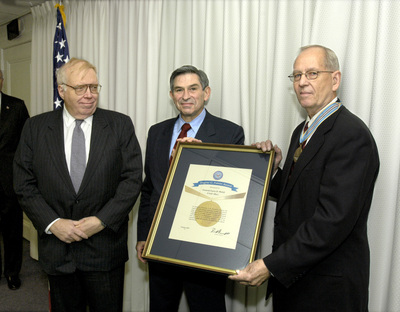 David Isenberg, "P2OG Allows Pentagon to Fight Dirty," Inter Press Service, November 5, 2002, http://www.atimes.com/atimes/Middle_East/DK05Ak02.html.